Military Vehicle Electrical Connector Adaptor/Splitter. Brand New!! 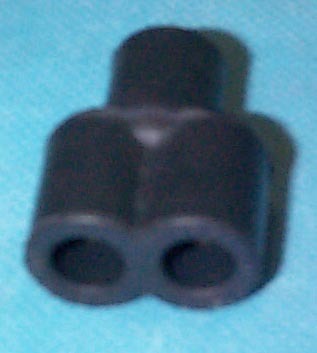 Military Vehicle Rubber style, electrical connector adaptor/splitter. This is the easy way to connect one power source to separate accessories. Part Number: MS27147-1, NSN: 5935-00-900-6281.